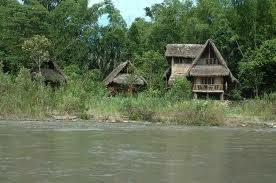 The Misahualli Amazon Lodge , is located between the Misahualli River and Napo River in the Amazon jungle. 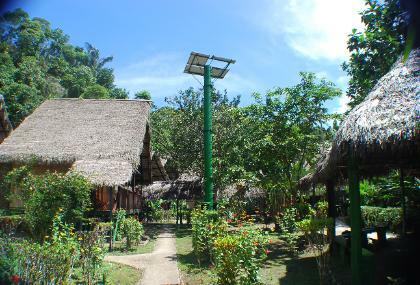 It offers the peace and rest that you deserve to enjoy a unique and unforgettable holiday at the Ecuadorian jungle with modern and comfortable facilities made with materials from the area. Easily reachable by route from Quito and Baños de Agua Santa to be included in Ecuador circuits. Yacuma Jungle Eco-lodge is located on the shores of the Chontayacu River, affluent to the Napo River -one of the most important tributaries to the Amazon River- in Napo Province. Since 2004 the Yacuma 300 hectares area, has been declared as a Protected Rainforest Reserve that shelters a great number of flora and birdlife species. 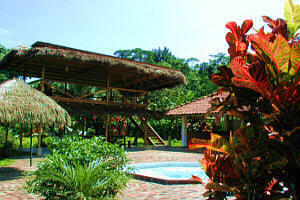 The Jardin Aleman Lodge opened in January 1996, is surrounded by 125 ha protected primary and secondary rainforest. 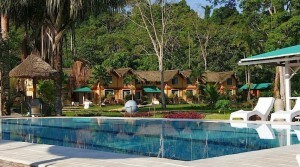 Apart from the hotel grounds, belongs to the Lodge 100 ha protected rainforest on the banks of the Napo River. 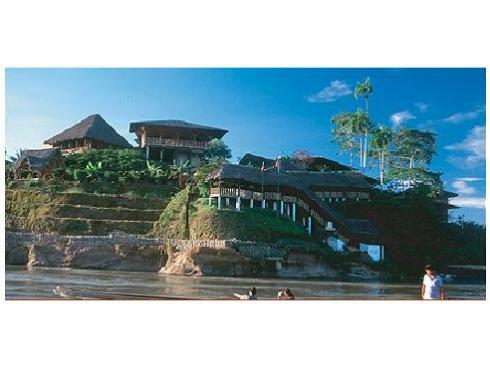 The resort is built on 5 ha. The Lodge is located on the banks of Misahuallí River, a tributary of Napo River , which forms after about 1400 km, in Perú, the Amazon. The Casa del Suizo is located a the Napo riverbank side in the town of Ahuano very close to the city of Tena, accesible by route and a short navigation. It is a good opportunity to have urban comfort and some of the best of jungle experiences. Cotococha Amazon Lodge is strategically located in the upper Amazon basin, making access easy for any means of transportation. The location is also very well suited to make the famous loop Quito – Cotococha Amazon Lodge – Baños (or reverse). A huge advantage for travellers who want to continue southwards through Ecuador as you will not have to return to Quito.